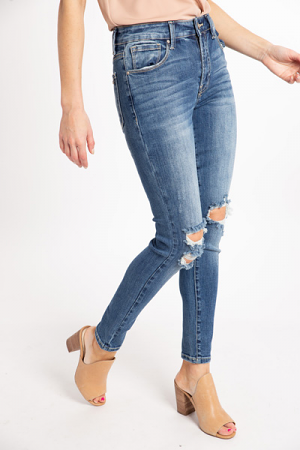 A pair of distressed skinnies are a complete necessity! 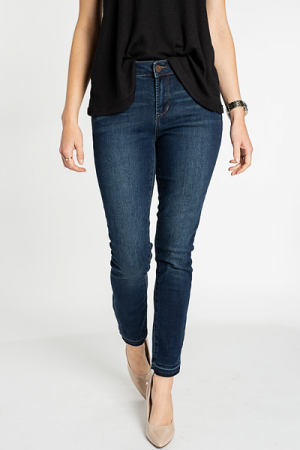 These are a darker wash, and are soft and stretchy - no stiff denim feel. 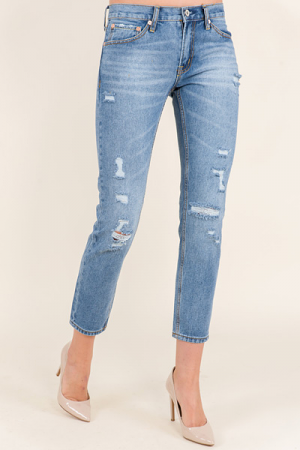 They frayed hem keeps them right on trend. Fit is true to size. Model is wearing a size 3.